Choosing the Island of Kauai for your destination wedding is the perfect way to start the planning of your special day. Kauai is truly an island of love, and Wailua’s Fern Grotto and our own Tropical Paradise offer two of the most unique wedding sites in the world. Whether it is planned or on impulse, your personal ceremony will remind you of your commitment to one another. 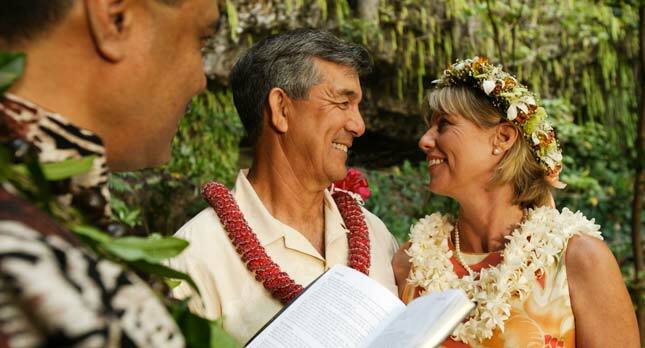 Create a distinctive Kauai memory with your newly formed marriage bond, or by rededicating yourselves, one to the other with a vow renewal, at the Fern Grotto or in the tropical splendor of our gardens. 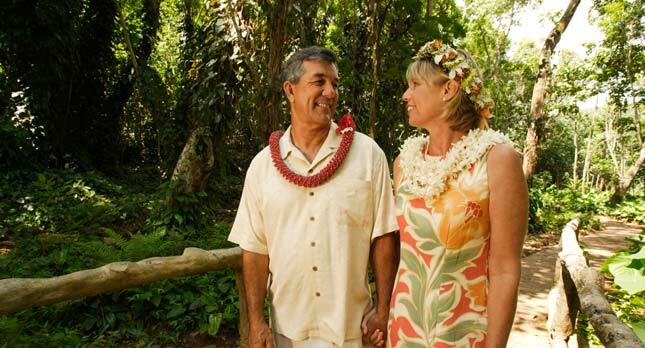 Commemorate your romantic ceremony by joining our family Luau. 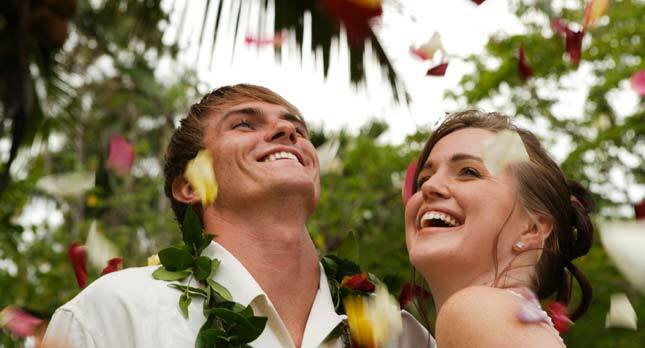 Special Luau pricing available for those planning your wedding or renewal ceremony with Smith’s. To ensure privacy at the Fern Grotto, your private boat departure will be scheduled for times when there are no tours in the area, usually at 8:30 A.M., 10:00 A.M., 11:30 A.M., 1:00 P.M., 2:30 P.M., 3:30 P.M. or 4:00 P.M.
Package includes boat transportation for up to 12 passengers. If there are more than 12 in your party, we move to a larger boat and the additional charge is $20 per additional passenger. 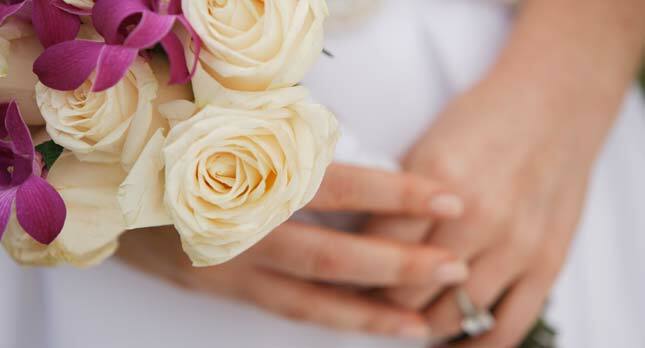 Smith’s Weddings can issue you the required marriage license prior to your wedding day. See https://marriage.ehawaii.gov for the Hawaii State marriage license application. To schedule your wedding service or vow renewal, contact our wedding planner at (808) 821-6887 or email weddings@smithskauai.com. Your entrance to Paradise heralds the trumpeting love calls by the gardens’ resident peacocks. These stately birds invite you to celebrate your love, surrounded by a serene beauty that has been created for occasions of such magnitude. Share this special moment along a palm tree lined lagoon, near a Hawaiian grass hut, in a field of red awapuhi and bird of paradise… with a grand mountain standing strong in the background. At Smith’s Tropical Paradise, Kauai’s picturesque beauty only enhances the splendor of your island wedding. Package includes up to 10 guests. If there are more than 10 in your party, there is a $6 charge per additional person. Wedding coordinator hours are 8:30am-4:00pm Mon-Fri.